Having spent my entire working life in sales I have experienced many different aspects of how to look after a client when the opportunity arose for me to work in Real Estate in Portugal during 2005 I grabbed it with both hands. Having a young family and living overseas it was challenging work trying to find the right balance but now we are happy to call Portugal our home and have fallen in love with the people and the country. Realising quickly how much I enjoyed my new role in Portugal I worked my way up from Property Consultant to Regional Manager in just over 2 years at one of the worlds biggest agencies, at the height of 2007 we were completing more than 150 sales per month which allowed me to experience every type of sale/purchase around, including all the problems that can go with them. With this in mind when myself and Gary decided to create Portugal Homes one of the most important aspects of the company was to create an "Aftersales" service that can deal with all the formalities and problems that can arise, covering what everyone seems to forget about during the sale. Our main reason for this was to have a dedicated team to look after our clients after they have found their second home or Investment, although many companies claim to help after you have purchased the realism is they don't have the time or capacity for this, they are focused on sales and rightly so, that is what you want from your sales team. With this in mind, we have created an unrivalled service that can help with every step of the process, from connecting your utilities, applying for your rental licence or simply booking your airport transfers and waiting in for your furniture delivery. On the flip side to this, we also help investors with renovations and complete projects from managing the process and liaising with Architects & Constructors. During the past 4 years I have been working a lot with investors and I have been heavily involved with the Golden Visa & NHR processes on behalf of our clients, one thing I believe that makes a successful company is a staff and we focus a lot of our time on making sure all our staff are fully trained in their department to offer you the best experience possible. Lisbon has to be one of the best investments in Europe if not the world at the moment and the amount of agents running around the capital that don't understand the market astounds me, one piece of advice I would give if your thinking of visiting Portugal would be to look at property for a minimum of one full day with the same agent, running around with lots of different agents throughout the day will not only become confusing but it will actually slow down your process and damage your chances of finding the right property, the longer you spend with one agent the better understanding they will have of your needs and the higher the possibility of you finding what your looking for. We have spent a lot of time studying the market and training our staff likewise, please try not to treat them like door openers and ask them as many questions as possible, they are much more than just an agent they are experts on the market, I can guarantee that one full day with one of our advisors is worth 3 of any other companies, they will learn your likes and dislikes quickly throughout the day and ask the right questions to eventually show you what your looking for, I take great pride in the company we have created and the services our staff offer. I wish you all the best in your property search and if you need anything at all moving forward please contact our team who will be happy to help, if you take my advice and agree to spend a full day with us then I will personally find the time to say hello and help any way I can with your purchase. I was Born in the North East of the United Kingdom and started my career working in the family printing business, I then moved into direct sales holding positions in sales management and also worked in the financial services industry. I moved into the real estate market in 2005 and since then I’ve worked in markets across Dubai, Berlin, Cyprus and Portugal across many sectors but mainly working in international property sales which is where I met David Poston, portugalhomes.com managing director. The knowledge and experience I have gained working in worldwide property sales have helped me appreciate the opportunity that Portugal has to offer as a country. With year on year growth in tourism and the increasing demand for a golden visa the market across Portugal is growing from strength to strength, add to this the NHR and the demand for holiday homes from Europeans the country has not only recovered from the crash of 2009 but has seen increases across the sector. With the research and knowledge we have gained as a company I believe we are in the best position to advise you on the current market and foreign investor trends, we can advise you on sqm pricing in all the major neighbourhoods in downtown Lisbon & surrounding areas and our stature with developers allows us to be at the forefront of all new properties released. The people in Portugal are very accommodating to foreigners and my genuine love for the country, safe environment, nice climate and great food has helped me choose this country as a fantastic place for my family to live. To be the daughter of a Chilean mother and a Portuguese father, born in Switzerland, used to listening to several languages growing up and travelling to diverse places it planted the seed of Travels and Tourism in me so when the time came to decide what to study it made perfect sense to go with a Tourism Management degree. Having worked for several years in the Tourism Sector it made me understand the extreme potential that Portugal has to offer, I could see this on a daily basis from the feedback I received from the clients that stayed at the apartments managed by the company I was working for at the time. I would also have these comments from family members visiting from South America that would be amazed by the simple fact that you could walk freely feeling safe in the middle of the capital city. My path in Real Estate started 4 years ago and the market as changed so much during that time with an exponential growth and I feel that my personal progress was very diverse as well, learning from how to manage people, commercial situation and also learning how to sell and most importantly how to truly like and enjoy it. This last one was the one that most profoundly made an impact on me. To understand how the sale process worked was easy however to truly know how to do it was one of the most challenging things that I have ever encountered and definitely one of the areas where I am constantly learning and for that, I thank both Co-Founders. Both professionally and personally I have come to realize that even though we think the path is drawn for us it doesn’t mean that it will stay that way, thus, making perfect sense for me to embrace this new opportunity given by Portugal Homes in becoming Operations Director. And as Operations Director my take on the market is that in this combination of 8 years’ experience in tourism and Real Estate Investment the Portuguese market will continue to grow, and Portugal will keep on being the go-to place for investment due to its security, perfect weather and historical heritage that makes this place the safe choice for any of you looking for a good investment. And in the process, I truly hope that we will be able to help you with our knowledge and comprehension. At Portugal Homes, we are extremely proud of the staff that we have and every single one of us will assist you in everything helping you get from point A to point B. My childhood was spent in Brussels, and during the ’90s Europe was a magical place to be in. We were living the dream of all European nations coming together. Growing up I had the opportunity to meet friends from all over, English, Italian, Scandinavian, no matter the nationality we came together and enjoyed knowing about each other’s original countries and different cultures. Today I can say that all these friends that I made in school have visited Lisbon at least twice and I was happy to welcome them in my new home. I moved here after finishing my studies and was amazed by the quality of life, good food, good weather, amazing sea and even wonderful people. I entered the world of Entrepreneurship and started working at Beta-I, at the time one of the biggest hubs in Lisbon for startups, located in Cais do Sodré, the city’s heart. Once again I was surrounded by international people, but most of all, by passionate people that were willing to take a risk and work for their own ideas and dreams. Because my background was Media Studies and my passion was Radio, I got an interview at a Local Radio Station. The first day I spoke at a broadcast was National Radio’s Day, a day I will never forget. After that, and for the next 3 years, I did the morning show and I cannot describe to you how fun it was. I have to admit that interviewing people and having the opportunity to show their individual talents to the audience was definitely the best part. All of the experiences that I have gathered along the years go into the same direction – creating relationships, growing partnerships, meeting and taking care of people. Being the head of the After Sales Department at Portugal Homes seemed to be the perfect opportunity to challenge myself and to engage on this amazing speed that the private sector offers. We saw a gap on following up with clients after their purchased, a lack of services provided to clients that needed assistance regarding managing their own property and so we created a Department that provides all that. The After Sales team is in constant contact with our clients, they know they can count on us, we provide the monitoring of their new property as if it was our own, our reputation depends on it. Originally from the North of Portugal, I moved to Lisbon in 2009 to graduate in Sociology in one of the most prestigious educational institutions of the capital – ISCTE-IUL University Institute of Lisbon. Working and studying at the same time from a young age, I’ve acquired experience in many different sectors, such as commerce and retail, telemarketing, and in the financial services industry, where the permanent contact with clients was always implicit. After my graduation I started to pursue new professional challenges and started my career in Real Estate in 2015, initially as an office support to the sales team, a very demanding and important role for my growth as a professional, since I was able to learn all the foundations needed to succeed, get to know the real estate market and be a team player, and after as an Operations Manager where the responsibility of coordinating an entire office and staff was really challenging but rewarding as well. I joined Portugal Homes as a Senior Business Analyst, studying and doing research about the market in order to provide very accurate market reports, so our investors are fully aware of all the numbers and market status, in the meantime my role developed onto dealing with international partnerships and travelling around the world to meet partners and clients and educate them on the Portuguese real estate market. Since then my growth has been exponential, becoming one of the company Directors. I’d qualify myself as a people’s person, always with a positive attitude, focusing on solutions instead of problems. I enjoy working in multicultural and challenging environments, and I am passionate about what I do, putting a little bit of love and a personal touch in every task. 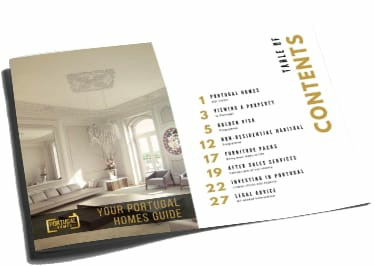 My message to all is that in Portugal Homes we will make sure that we will provide you with everything you need so you can decide on what’s the best investment for you. We will keep looking after you through our After Sales department, providing a one and only premium and trustful service.